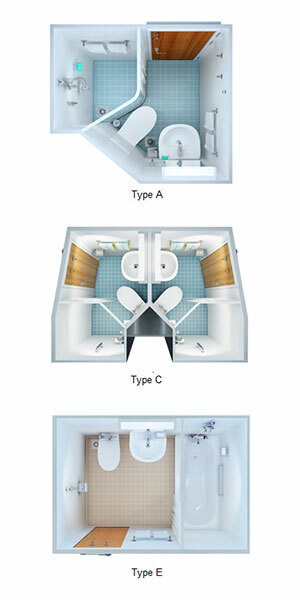 We supply a range of Prefabricated and Flat-Pack Approved Toilet-Modules (Wet Units), which come complete with all fittings and accessories. ‘Standard' Types & Tailor-made to clients' specification. Grab Rails, Towel Rails etc. All offered products are manufactured to ISO 9001:2015 standards and fully certified accordingly. All products are produced in our factories which hold certification to ISO 14001:2015 environment management standards.